The drama of making speccy case covers. – what has this to do with Quilting? I’m a gal of deadlines. My day is roughly mapped out when my eyes spring open each day, but sometimes those plans just fly out of the window. Yesterday I changed my plans to sew all day and did a little shopping… actually I appliquéd from 4.30 am till………then went shopping. First thing was to find my elusive appliqué scissors. 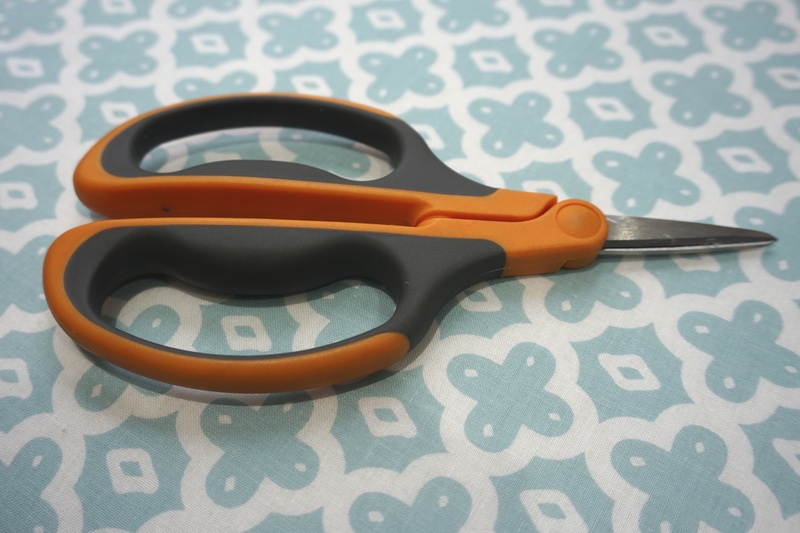 These are the scissors I use for cutting appliqué. I use 4 pairs at a time, I have one placed at each work station. Then each night they go back to their storage. The store I originally purchased them from advertised them on special but when I went to buy them, they had none in store but gave me a rain check. 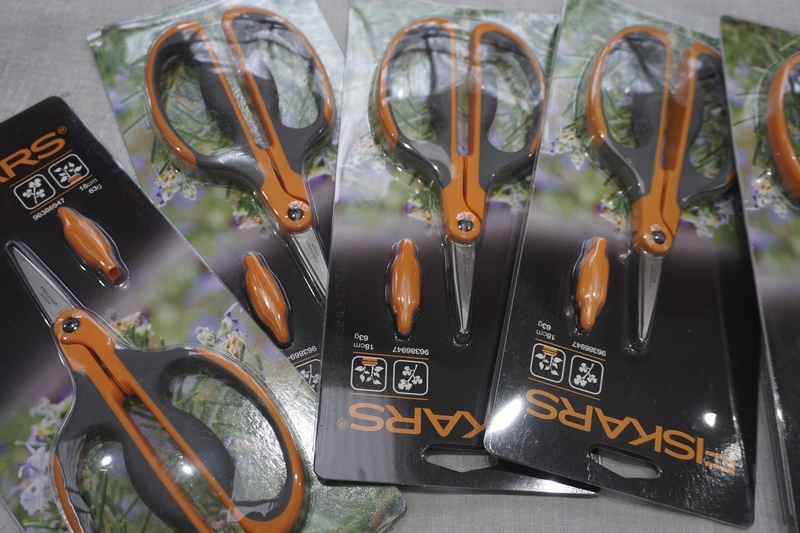 Months later they still didn’t have them so we decided to contact Fiskars directly. No luck there either. Months later we were advised you could buy them at the local hardware store in the floral dept. We were talking about the scissors in class on the weekend and one of the ladies investigated and found the elusive scissors. So, yesterday on the shopping spree, I visited ‘Bunnings’ in Mt Barker and found the scissors. I bought all they had in stock, 5 pairs… sorry if you live in the area. I have them all. Next stop was to look for swimming trunk fabric to attempt to make covers for my cases. I have been using them for years now, but they get really beaten up, well actually ripped and they have holes in them. OK, Pammy, you can make them. But I did by thicker double knit fabric and at about 1.00 pm yesterday I cleverly cut up one of the old covers and made a paper pattern…..
OK, I didn’t allow for the fact that it didn’t have as much stretch as the thinner covers. so the first partially finished cover just didn’t fit. I have a new smaller case and I rushed inside to get it. Surely it would fit this one. MMMMM but the case was different shape. 5.00 pm, I gave up after Keith (my case carrier) decided it was a bit lumpy…. thanks honey. This morning with renewed vigour I attacked that darn case cover and finished it. I have enough fabric to make two more. NO, I’m not making any more, its as bad as going to the dentist, so that’s it. At least I have two fancy nancy case covers. I’ll use the old holed ones for the other two cases. Ahhhh the life of a traveling quilter. See Keith, heaven forbid traveling with lumpy case covers. It was your turn for ‘just one of those days’ Pam. I have a pair purchased at a dicount store, Tuesday mornings. Have not seen them since. Love these scissors too. Will have to check a nursery for another pair. Previous PostThe Day diary of a Textile Art Tutor. – Capture and Create. Next PostPlant Creative seeds to Harvest tomorrow – a journey of discovery.